Why wait until your plane takes off to sit back, relax and enjoy the journey? With Stansted airport chauffeur transfer service by Mercedes Chauffeur Hire, you can begin to unwind and prepare for the next leg of your trip from the second you leave your home or office. Whether you’re travelling for business or pleasure, Mercedes Chauffeur Hire offers world class airport transfers to and from London Stansted. With the peace of mind that comes from knowing you’ll enjoy a seamless door-to-door service, you’re free to enjoy the spacious interior of your luxurious Mercedes S Class or Mercedes Viano. Newspapers and complimentary refreshments are provided for your convenience and comfort. Hand picked for his 10+ years of professional experience, your highly proficient airport chauffeur has the benefit of the latest flight time and traffic technology at his disposal. Coupled with his own knowledge of the route, this allows us to prepare the most efficient path to and from the airport with no unexpected delays due to road works or traffic jams. We’re confident of getting your trip off on the right foot and promise you’ll arrive in time, unhurried and stress free. Flying with a private aviation company demands a certain level of luxurious and efficient chauffeur service. Our private aviation meet and greet Stansted Chauffeur service will take care of every last detail for you, ensuring a seamless, stress free journey from your home to the runway itself. Airport permitting, you’ll be chauffeured to the steps of your plane with the utmost efficiency and courtesy. With your baggage taken care of, all you need to do is settle into your seat and be welcomed aboard by the flight crew. Upon your return, your uniformed executive chauffeur and his impeccably prepared luxury vehicle will await you on the runway. Thanks to the very latest flight time technology, your chauffeur will be available to you from the second your plane touches down and you disembark the flight, regardless of whether you arrive ten minutes early or one hour late. Your comfort and convenience are our first priority. 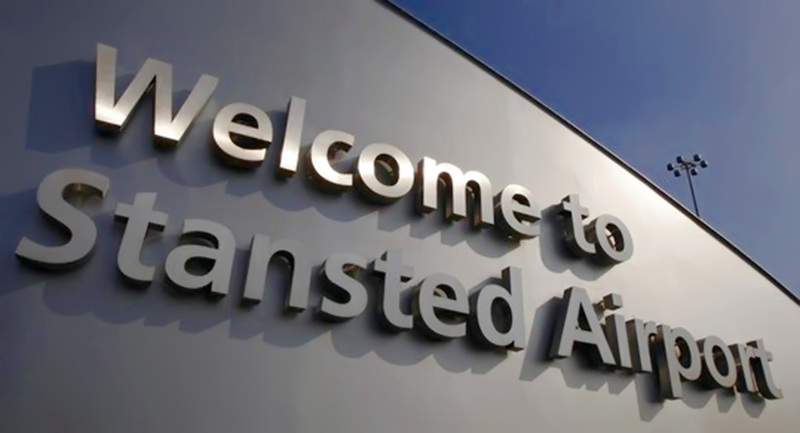 We’re happy to offer you up to 30 minutes complimentary waiting time whether you’re arriving or departing from Stansted. Your chauffeur will provide luggage assistance and will collect you inside the terminal building upon your return. What’s more, our Stansted airport chauffeur service – like all of our London airport transfers – is backed by a 100% satisfaction guarantee.